Confession: I don’t drink a lot of wine from New Zealand. But I’m not one to turn down the opportunity to have dinner with Erica Crawford- yes, that New Zealand Crawford, at A Rake’s Progress. Truthfully, I was hoping her wines from the Love Block label might surprise this New Zealand skeptic, and that’s just what happened! The Love Block wines, first produced in 2013, are all sustainably farmed. 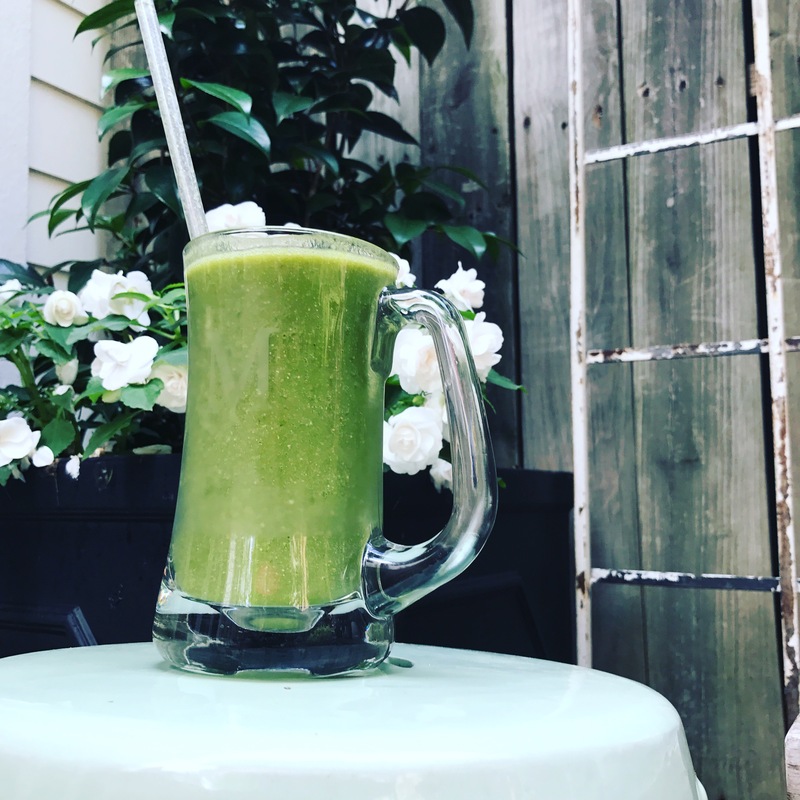 This started as a logical extension of a health scare which prompted Erica to take a look not just as what she was eating, but the products she used to clean her home, beauty products, and ultimately what was going into the wines she produced. I love when vineyards take a sustainable approach, but if the resulting wines don’t taste good it’s a lost effort in my book. These wines achieve a really high quality level, without sacrificing environmental or health integrity. (They also happen to be vegan, a request from one of Crawford’s daughters.) As Crawford said, “it’s not always easy, but it is hugely gratifying.” Eventually, they plan to transition the vineyards to certified organic, but want to ensure quality and consistency before making this transition. 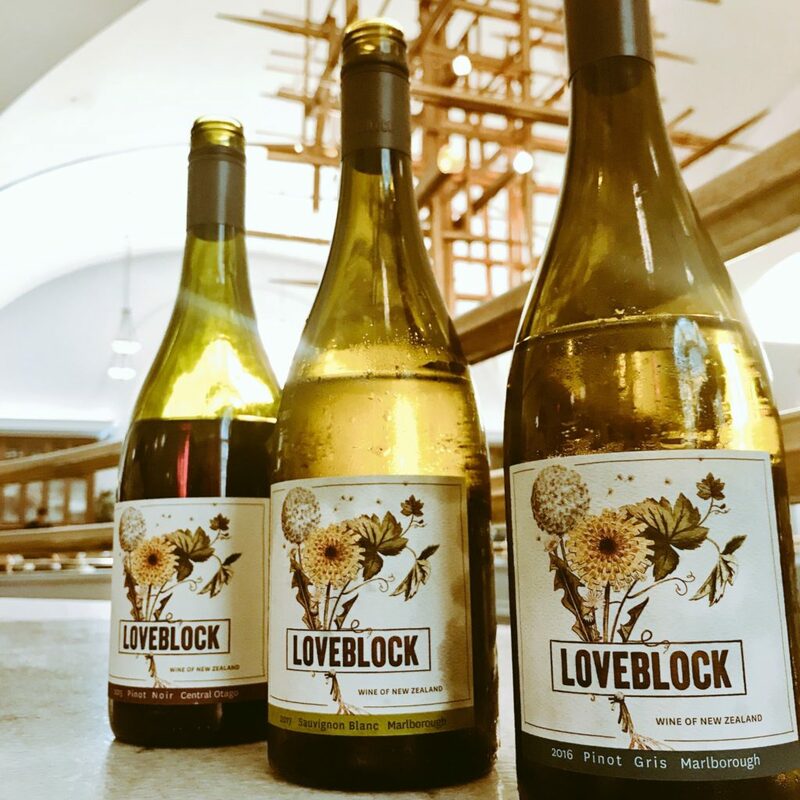 Have you tried Love Block wines? Most California wine fans are familiar with Napa and Sonoma, but there’s so much more to California wine country than these venerated locales. 19th C. Murrieta’s Well is located in Livermore in California’s Central Valley. The vineyard has a long and venerated history; it was even started with cuttings from Chateau d’Yquem and Chateeau Margaux in France. However, in a true testament to how much terroir and place matter, their wines today have few similarities with this French heritage. Their wines are ALL California new world in style: big, luscious, juicy, and fruit forward. Recently I had the opportunity to try an assortment during a Snooth tasting. Below are my favorite wines from the tasting along with some pairing recommendations! If you’re ready to branch out from Napa, these wines from Livermore are a great place to start exploring what else California has to offer. This was the fan favorite at my tasting gathering- a lovely blend of Sauvignon Blanc (33%), Semillon (24%), Chardonnay (21%), Orange Muscat (12%), and Viognier (10%). Extremely aromatic with lively acidity. This white wine was crisp and floral with notes of tropical fruit, jasmine and honeysuckle. This was a compelling wine on its own and would pair extremely well with spicy dishes. Vinified in a combination of stainless steel and small oak barrels. I haven’t had a huge amount of oaked Sauvignon Blanc, and it’s certainly a different profile than what one might expect from the variety, but again, I found this wine compelling. The french oak adds a roundness and creaminess- there’s loads of pineapple and peach on this wine and some orange creamsicle happening here. I think it would pair beautifully with citrus infused poultry. This chewy, dense, fruit forward Bordeaux Blend (87% Cabernet Sauvignon, 11% Petit Verdot, 2% Malbec) is just screaming for a smoked brisket! Definitely give it some time to open up and I would recommend decanting. Fruit forward with notes of blackberries, cherry, baking spices and cocoa. Aged for 18 months in new French oak; 30% second and third use French oak barrels. Have you tried wines from Livermore before? In an age when we are ever more cognizant of what we’re putting in our bodies, Champagne is hiding a dirty little secret. 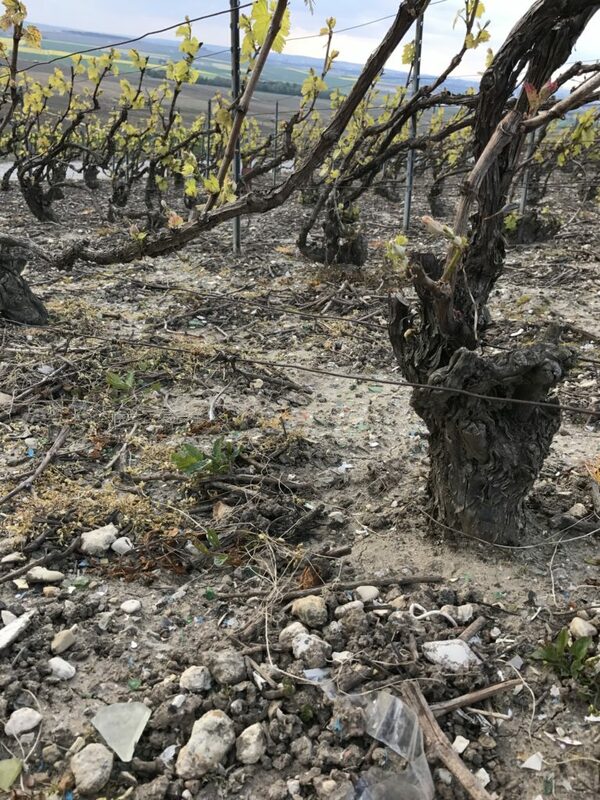 During a visit to the grand cru village of Verzenay last April, I explored the vines to take a look at what the devastating frost of last spring had done to the vines. Due to elevation, these particular vines were spared, but I was distracted by what I saw in the soil. I thought perhaps that unruly tourists had left trash behind. Only when I looked more closely did I realize there was plastic waste and refuse for as far as I could see. I knew that Paris and Reims had used the vineyards as dumps for ages- it was a practice, upon conception, that benefitted the vines. For a long while waste was essentially organic compost, but in recent decades, plastic was dumped in huge amounts. The practice only stopped in the 1990s. Some champagne houses that take less care with grape sourcing still haven’t cleaned up their act. However, the future of champagne is bright, led by committed vignerons who are leading the way with sustainable practices in a region that faces more than its fair share of climate challenges. 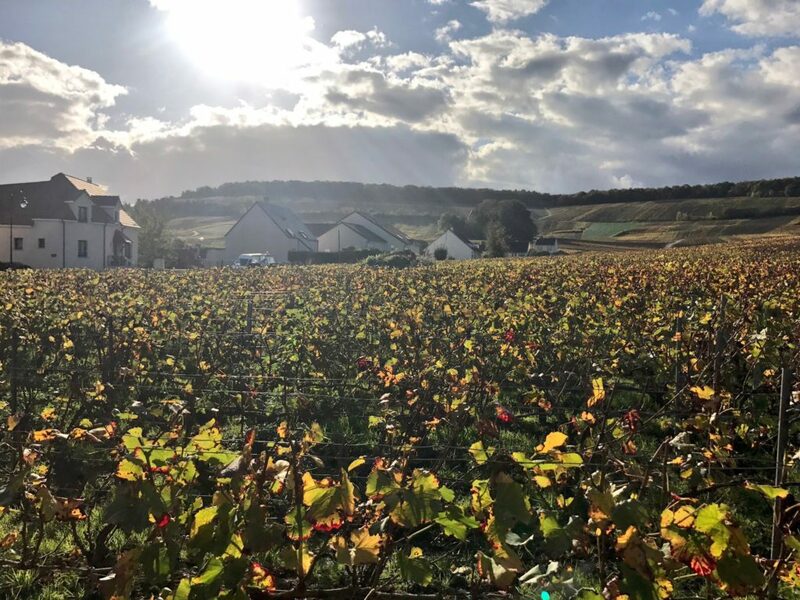 From organic to biodynamic practices, many of Champagne’s grower producers- and even some of the large houses- have taken huge steps to not only clean up the vineyards, but are integrating solar panels, plowing their vineyards by horse, fertilizing with manure and compost. In December, I’ll be hi lighting a selection of these exceptional cuvées during a presentation and tasting for DC Champagne Week. If you’d like to learn more about natural winemaking practices taking place in Champagne, please join me at Dio Wine Bar. Featured producers include Louis Roederer, Pierre Paillard, Maillart, Lacourt-Godbillon, Franck Pascal, and Moussé & Fils. Purchase tickets here. Are you surprised to still see garbage in Champagne vineyards? I was! One of my favorite things about wine is how it so often interacts with culture, art, politics, history. In addition to the beautiful spread of mezze and interesting wines, these topics were at the forefront of a wine dinner at Agora I attended with Vinkara wines. Wine consumption in Turkey is small, averaging just one liter per person a year. In fact, 80 percent of Turks do not drink alcohol at all and advertising within the country is currently forbidden, making the export business critically important to the success of wineries. However, the grapes are often ancient indigenous varieties which can be difficult for foreigners to pronounce. To say that winemakers are up against some particularly tough odds is an understatement. It is a tumultuous time in Turkey, particularly for the nation’s wine industry. Current laws and custom stand in stark contrast to an ancient history of viticulture. Anatolia is said to be the birthplace of winemaking- scientific studies note the existence of winemaking in the region for 15,000 years. The vines have remained through millennia of turmoil and good fortune, war and peace. It is often said that the best wines come from vines that struggle. In many parts of the world vines are partially deprived of water so that they seek deeper soil, adding strength and character to the plant and its prodigy. 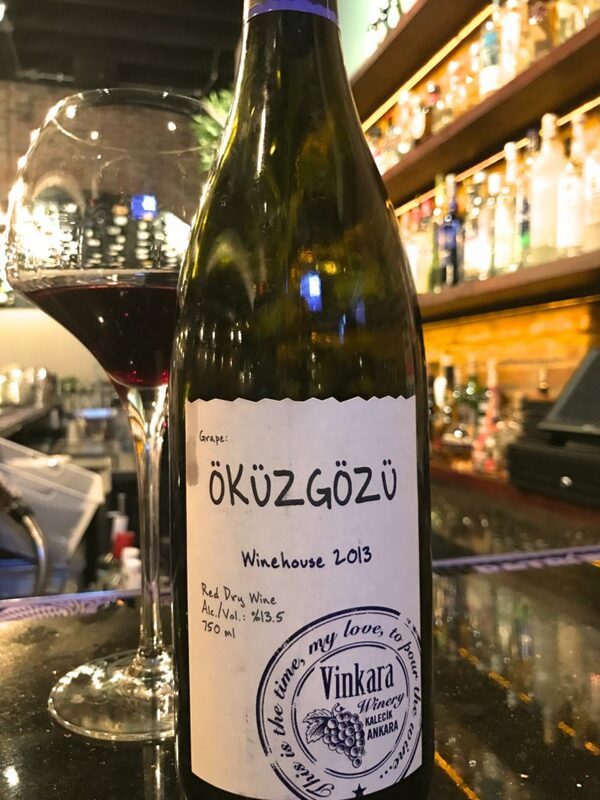 Just as vines that have grown more complex and resilient through struggle, the wines produced in Turkey are wonderfully complex, in spite of, and perhaps because of, the very struggles that they face. 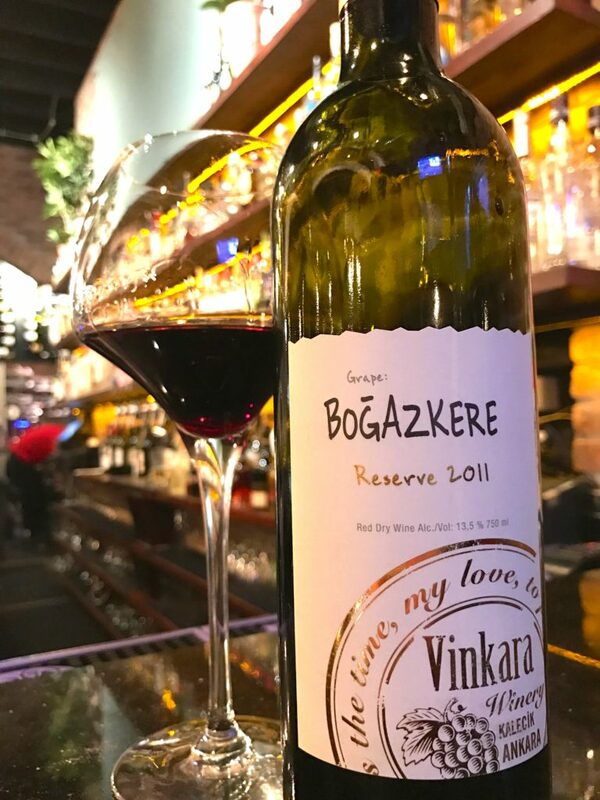 The good news is, Vinkara has an incredibly passionate winemaker, Ardiç Gürsel, who is focused on revitalizing many of Turkey’s indigenous grapes with an eye on producing quality wines. She makes beautiful and complex wines at accessible price points- just $18 to $40. Below, a few of my favorite wines from the beautiful mezze dinner with pairing suggestions. 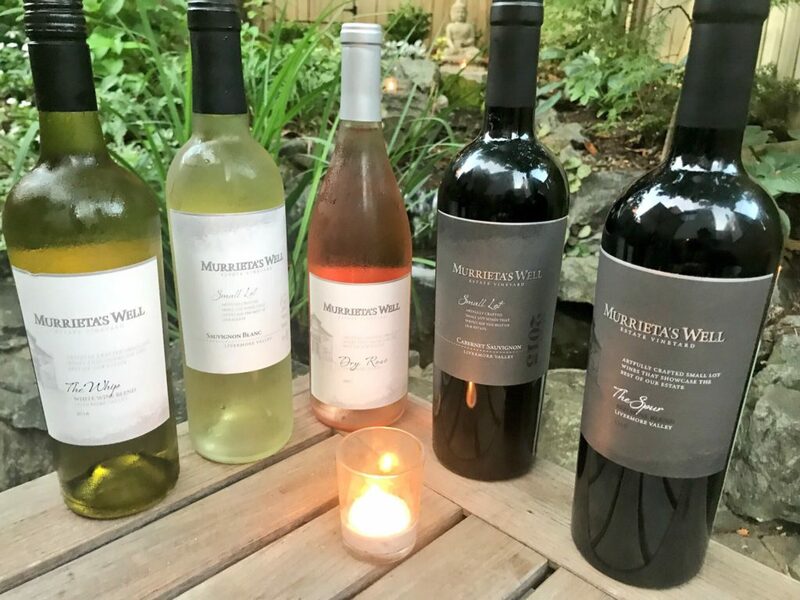 The overall quality was outstanding for the price, and while the names of these wines don’t exactly roll off the tongue, they are a pleasure to consume. If you’re new to Turkish wine, here’s where I recommend you start! Kalecik Karasi is an ancient variety that is related to pinot noir. It’s all gorgeous red fruit, herbes de provence, and earthy minerality. Light bodied, immensely approachable, and a great pairing with a variety of foods. Average Price: $21. This wine has a slightly more intense body style. I got a lot of raspberry, cherry notes, coffee, and baking spices. Medium tannin, medium acidity. Pair with meat or heavier pasta dishes. Average Price: $18. Have you ever tried Turkish Wine? There comes a time of reckoning for everyone in the food and wine business. 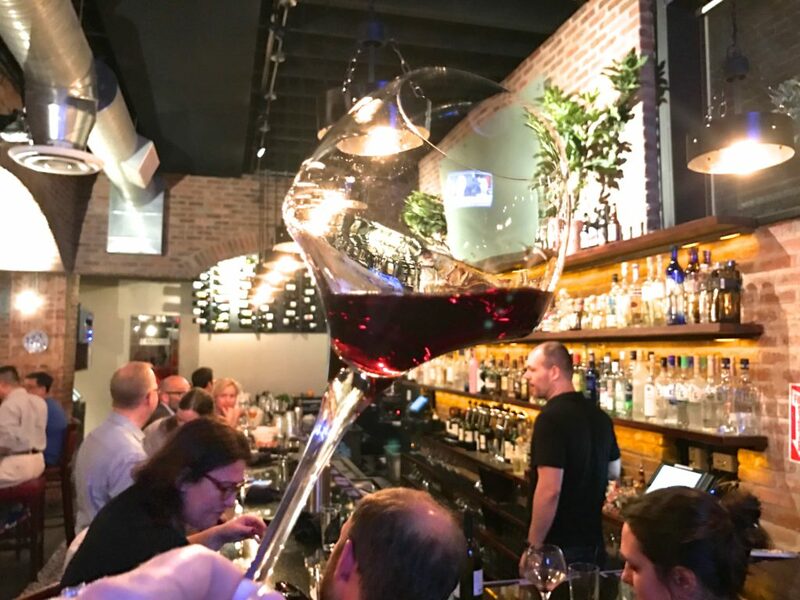 The search for balance between hedonism and health is a fine line, and one that is finally being discussed in an industry where consuming 5 course meals and entire bottle(s) of wine in an evening is not so uncommon. Over the past several months I’ve made some changes to my lifestyle in terms of what I consume. Don’t get me wrong, I still LOVE wine and won’t ever be giving up cheese, bacon, or even bread. But months of too many Taco Tuesdays had my closet silently admonishing me; I decided to make some lifestyle changes. But how do we achieve balance in a culture that often glorifies busy and trivializes authenticity and quality? Now, I’m either eating right or I’m really indulging- there’s not much of a middle ground for me. It’s either green smoothies and salads, or the cheese plate and vintage port, please! I’ve also dedicated days and weeks without alcohol- shocking, I know, but I find that these resets are particularly helpful after an indulgent vacation. I also make it a point to get to the gym and train with a trainer- Andrew Schneiderman of Balance Gym. Not only does he keep me laughing while I sweat it out, but those appointments keep me accountable to my fitness in a way that a simple membership just doesn’t. One of the interesting aspects of this change has been how much more conscientious I am when I do indulge. I try not to drink mediocre wine and if I’m going to have something like tacos, they’re no longer of the Chipotle variety. Not only has this created a healthier balance, it’s made me far more conscientious about my indulgences and I really do feel healthier overall. I have found that the products I’m consuming have a focus on authenticity and quality; typically, they’re also better for both the environment and my health. If you’re a food and wine lover how do you achieve balance?